The Empire State is one of the best places for birding in North America—from the Adirondack Mountains in the north; the Finger Lakes in the west; the Hudson Valley in the east; and the marshes, bays, and beaches of the south, New York provides habitats for an amazing array of birds. As a flyover state for many migrating species, backyard birders can see hundreds of species per year as they head north in the spring and south for the winter. 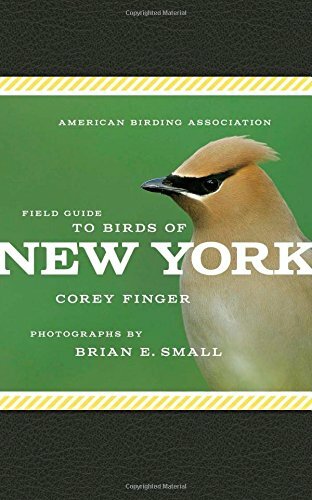 The American Birding Association Field Guide to Birds of New York includes more than 300 species birders are most likely to see in the state. Illustrated with hundreds of crisp, color photographs, it includes descriptions of each bird along with tips of when and where to see them, written by an expert New York birder. It is the perfect companion for anyone interested in the amazing diversity and beauty of the birds of New York.